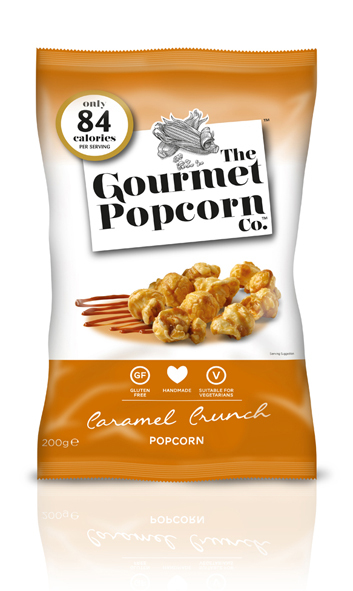 For our classic Caramel Crunch Popcorn we use only 100% Irish butter to create a delicious crunchy butterscotch coating over lightly toasted, air popped corn. 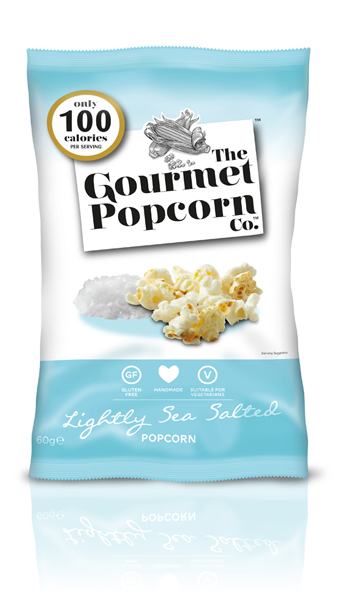 A surprisingly delicious blend of sugar and salt combined and cooked in small batches to give a delicate, crunchy texture. CANE SUGAR,POPPED CORN (28%), GLUCOSE SYRUP, BUTTER (MILK), CANE MOLASSES, SUNFLOWER OIL, SALT, LECITHIN (SOYA), BREADSODA. 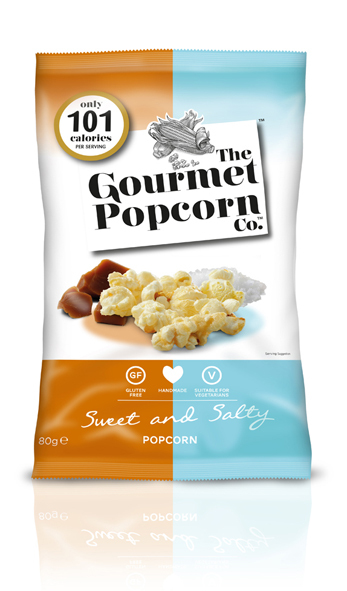 A surprisingly delicious blend of sugar and salt combined and cooked in small batches to give a delicate, crunchy texture. 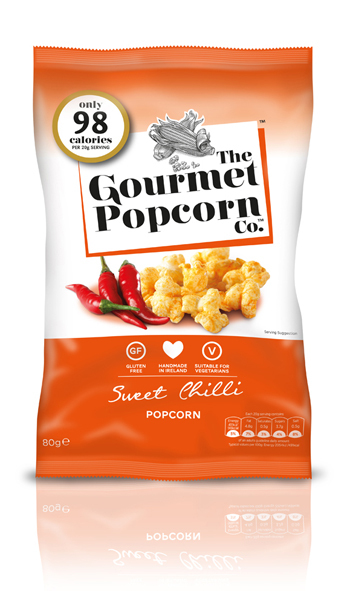 For this modern twist on a sweet spicy flavour we use our Sweet & Salty popcorn as a base then flavour with our special blend of ingredients for a Sweet Chilli Experience.